I’m a big fan of the City theme trucks – I’ve got a few of them of them now. They’re always a popular choice as fans love rebuilding them with their own styles, and you get some great parts. This one is no different. I mean, check out that forklift! 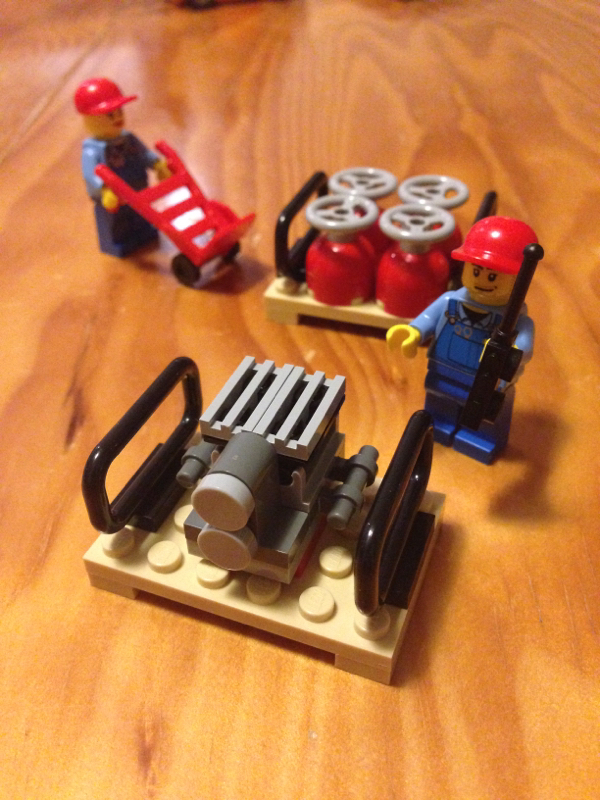 This set is part of the Cargo subtheme of 2013. There’s this one, 60021: Cargo Heliplane, and 60022; Cargo Terminal. 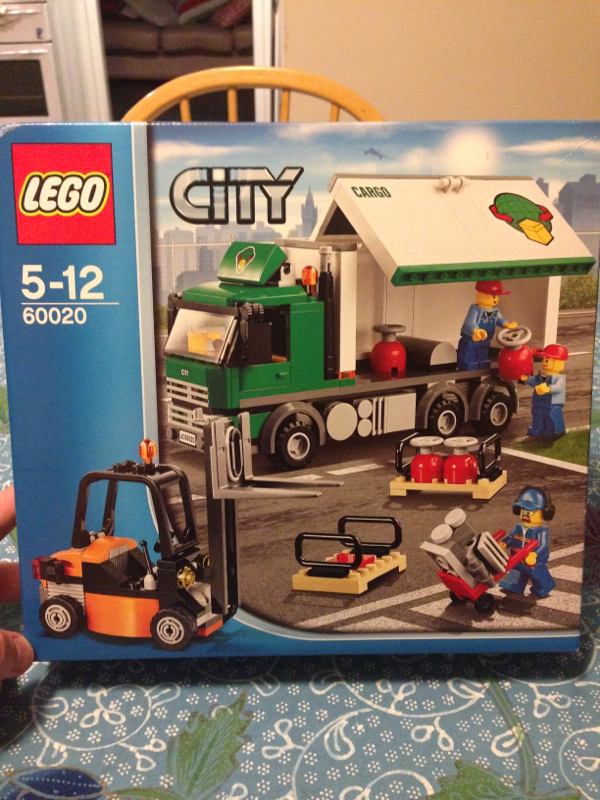 This isn’t the first time LEGO has attempted a truck and forklift combo. Back in 2008, 7733: Truck & Forklift was released. This one has a few differences, some good, some bad. 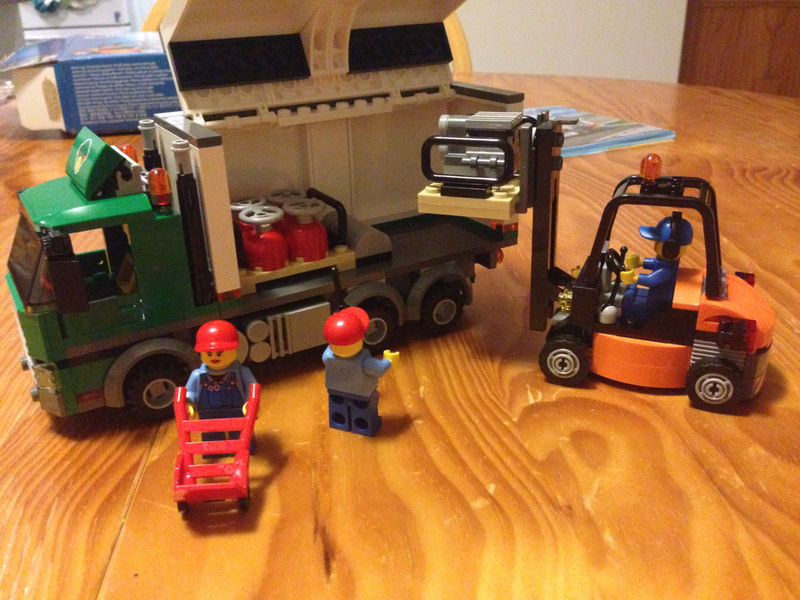 The forklift in this one is much better looking, and truck opens in a better (albeit somewhat unrealistic) way than the 2008 version, but the predecessor had a trailer, and different cargo, which I rather like the look of. Out of the box, this one contains 3 parts bags, a small sticker sheet, and 2 instruction booklets. 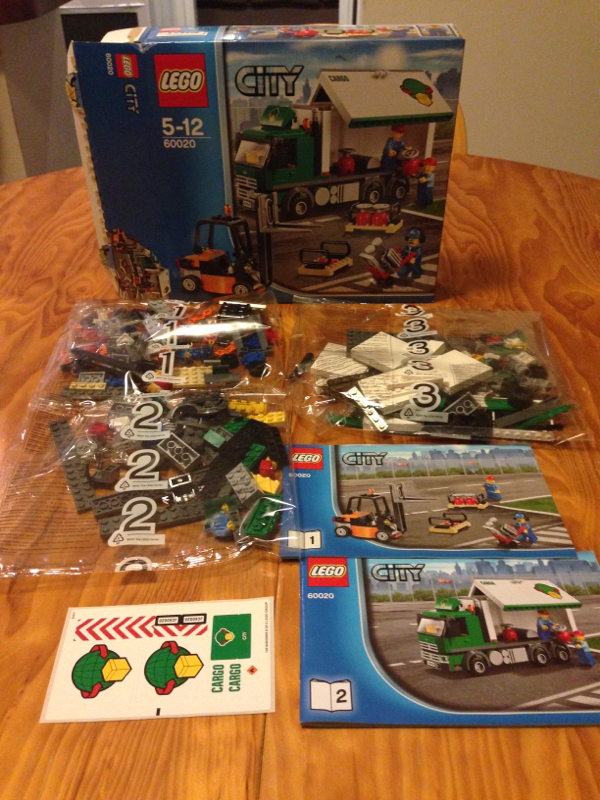 There are a few parts in here worth mentioning, introduced in this set for the first time to the LEGO range. This iteration of the foklift is new, and the mast is one of them. The mast and forks combo work with an elastic band. Another part that was introduced in this set, and still the only set to have it is the 6×16 plate with 26 knobs. 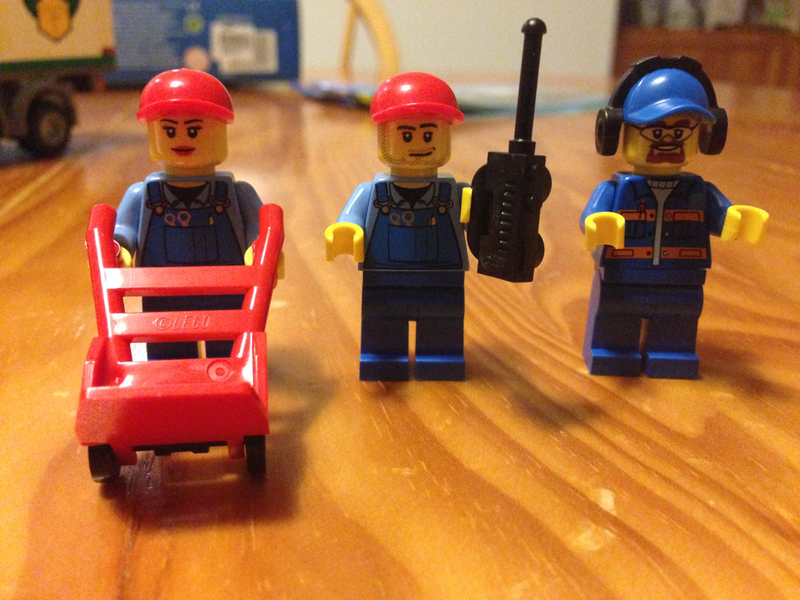 3 minifigures are included with this set – 2 males and a female. They look pretty good, and I love getting trolleys in sets. They’re always useful for other builds! I really enjoyed this build. 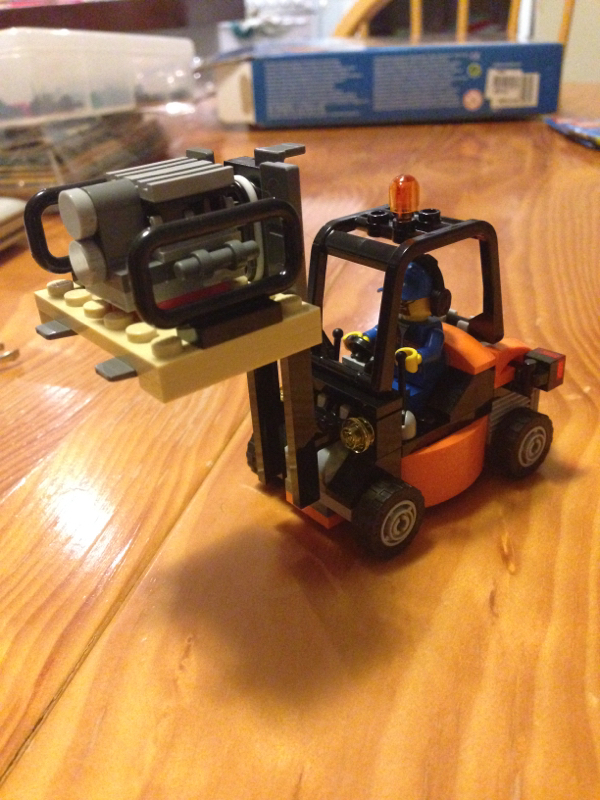 The first things to be built are the forklift, cargo, and minifigs. I really liked this cargo. The gas bottles look great, and i love the engine! It looks really effective. It’d be great to use the same concept for other MOCs. The forklift is brilliant. It looks spot on like the real thing, and the orange colour is really vibrant. The only thing I’m not the biggest fan of is the fork mechanism. Because it has an elastic on it, it stays in the up position. It’d be great to see this modified to be able to stay at any level. The truck looks great. I particularly like the front grill and the exhaust pipes behind the cab. They’re small details, but they really accentuate the build. It’s a set that has a lot of playability. This set gets 9 out of 10 gas bottles. 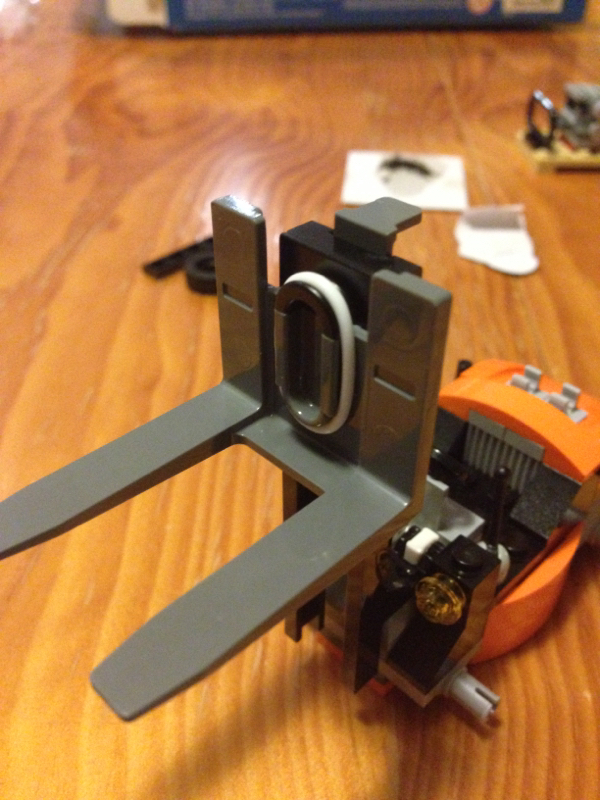 Next on the review list is the Mixel Glorp Corp – first review for Mixels!